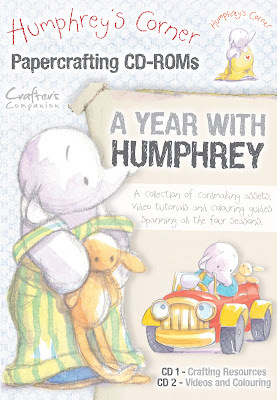 We’re very excited to announce the launch of the next range in the collection of Humphrey’s Corner – A Year with Humphrey! 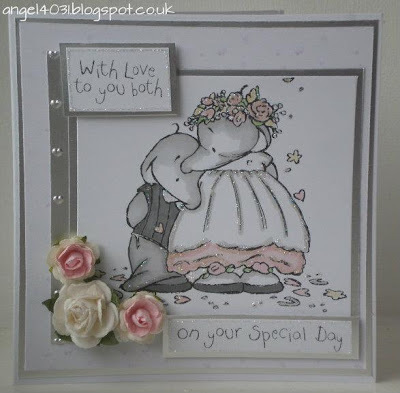 The new range is launching this weekend, and includes a twin CD and twelve gorgeous rubber stamps. The first disc contains oh-so-cute crafting elements featuring Humphrey and his friends, including toppers, decoupage, tags and sentiments plus exploding boxes, stepper cards and more! The second disc is a very special CD-ROM featuring exclusive video tutorials by Sara and Leann plus guides to colouring Humphrey images using Spectrum Noir alcohol pens. 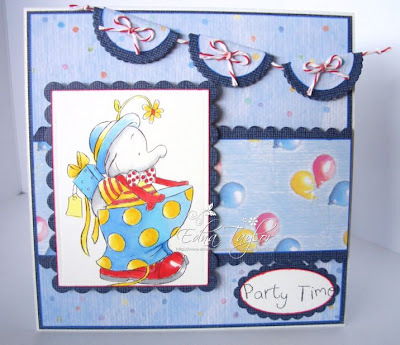 This gorgeous card, made by Edna, would be just perfect for children’s party invitations! How beautiful is Caroline’s wedding card? 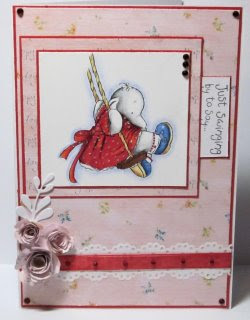 Jacqui is just swinging by to show you this gorgeous card featuring Humphrey’s sister Lottie! Come back throughout the week for information about the launch, and plenty more inspiration too!